No one should really be surprised that Donald Sterling is a racist. We knew about this in 2009 when NBA legend and 20+ year Clippers GM Elgin Baylor sued the Clippers. At the time his allegations could have been taken as sour grapes given he had just been dismissed from the franchise, but his allegations ring eerily true today. Baylor's lawsuit portrayed Sterling as a throwback to the 19th century plantation owner, seeking to exploit the disenfranchised for profit while simultaneously proclaiming he was making their lives better. Given Sterling's leaked comments on the V. Stiviano tape it's not like Baylor and his legal team were making up the allegations out of whole cloth. Baylor knew the billionaire bigot for over two decades while in his employ and was undoubtedly intimately familiar with the kind of attitudes Sterling (allegedly) expressed to Stiviano on said tape. "V: Do you know that you have a whole team that's black, that plays for you?" "DS: You just, do I know? I support them and give them food, and clothes, and cars, and houses. Who gives it to them? Does someone else give it to them? Do I know that I have - Who makes the game? Do I make the game, or do they make the game? Is there 30 owners, that created the league?" ... difficult unless you have a a cheat sheet to all of the racist comments of Donald Sterling over the decades. It almost SHOULDN'T be news in 2014 that Donald Sterling is the worst kind of bigot, but everybody loves a good scandal, and the fact that his hypocrisy flies in the face of having a predominantly African-American team in the NBA playoffs isn't lost on anybody - except perhaps him. Sterling has never met a white man he didn't like, but he seems to have something bad to say about any racial or ethnic group that ISN'T. On Korean tenants: "I don't have to spend any more money on them, they will take whatever conditions I give them and still pay the rent." Will the players under his employ take whatever conditions he gives them and still play the game? 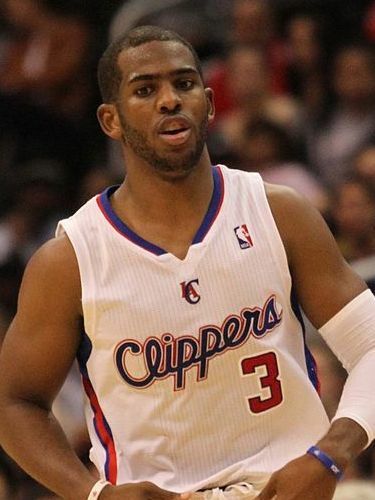 They have already made their disgust with Donald Sterling clear, and Sterling has to contend with his star point guard Chris Paul, since he's also the President of the NBA Players Association. (Whoops!) Sterling has also drawn the ire of fellow NBA team owner (and all time sports legend) Michael Jordan. It's obviously not easy for the NBA to divest itself of a billionaire and his warchest, but it's also not in their best interest to have him continue to tarnish the sport with his "plantation" mentality. Hip-Hop fans know a little something about this mentality - rappers have complained about being treated like slaves by record labels with hundreds of millions in the bank for years. Exploitation ain't nothing new - it's the same ol' story. The only thing that changes is that Donald Sterling just gets uglier year after year - figuratively and literally. UPDATE: Sterling has been BANNED FOR LIFE and fined $2.5 million by the NBA.